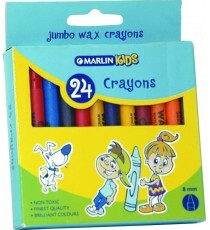 Product Lead time: 2 to 4 working days A box of 24 wax crayons in an assortment of colours - the kids will have so much fun colouring with the.. 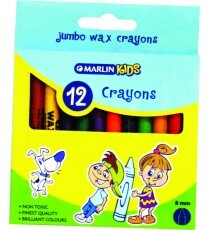 Product Lead time: 2 to 4 working days The finest wax crayons, in a jumbo size, comes in brilliant colours & are non-toxic. 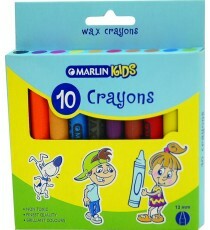 There are 9 crayons .. 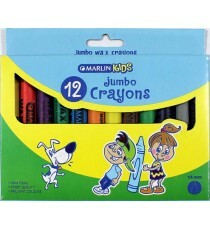 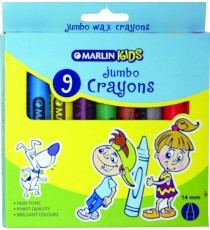 Product Lead time: 4 to 7 working days Marlin Kids jumbo wax crayons 14mm 12's ..